Makes it easy to roll your own king size smokes as well as gives you a case to store your tobacco, filters (optional) and papers. 110mm is the same as king size papers allowing for the largest roll your own in an auto roll box. Can also roll smaller lengths. Polished metal case with easy to follow instructions included. Very convenient and easy to use. Awesome when you are in a rush or need to roll a few at once. It will save you so much time in the long run and the best part is its perfect every time! You Gotta Have One Of These! I Know, I Know, Some People Are Gonna Hate On You When They First See You Using One Of These... BUT, You'll Be Amazed How Well This Thing Works!!! Fast, Easy, And The Best Part Is The Roll Is Perfect! It Last Much Longer Than A Hand Roll! The Speed Of Service & Shipping Were Amazing! Happy 4/20 1%! Great machine, made out of nice shiny metal. 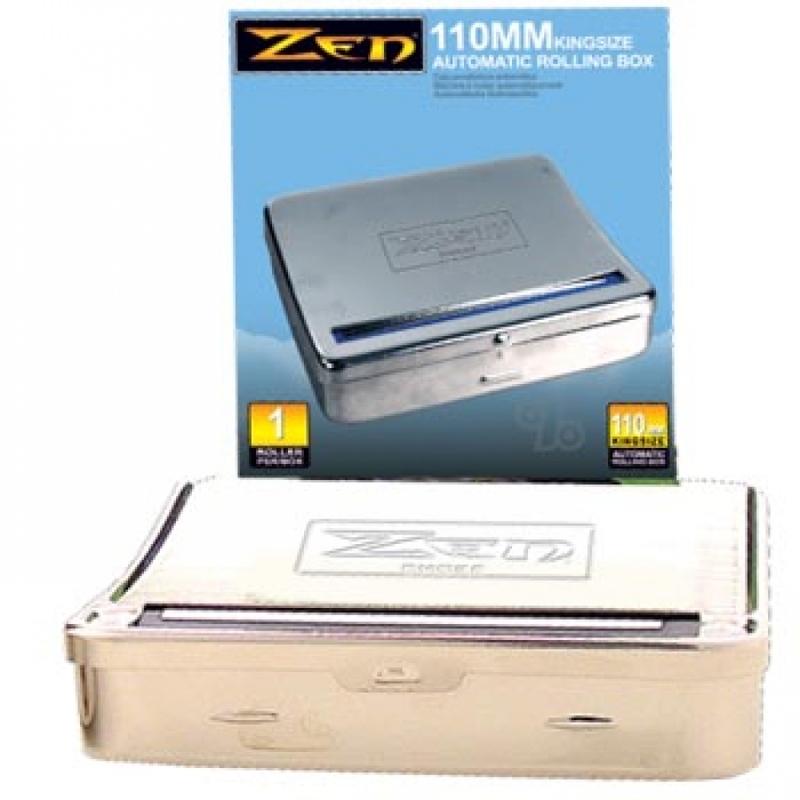 The zen rolling box is perfect for rolling blunts...but the best thing about it is that you can roll with any size paper. The box makes a perfect smoke every time.